Wake Up. Take Action. Support the Film. 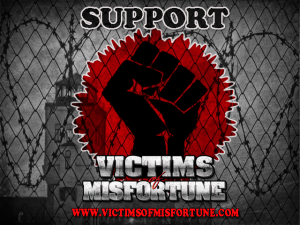 Why do we need you to support this film? Combining all of these elements: rendering, composing, sound design and editing. Editing hardware and software to create everything at high resolution to screen theatrically. So let us make history together! Don't forget to help spread the word and share this project on social media (Facebook, Twitter etc) with all your friends. A pre-release DVD of the finished film! Manhattan, New York City – Glenn E. Martin is the former Vice President of Public Affairs and Director of the David Rothenberg Center for Public Policy at The Fortune Society. 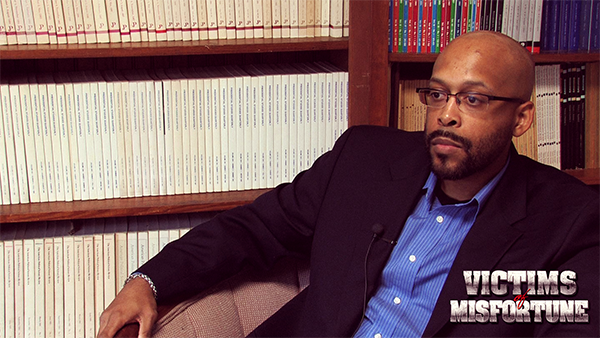 Mr. Martin is the founder of JustLeadershipUSA, and co-founder of the Education Inside Out Coalition (EIO Coalition). Mr. Martin has often served as a reentry/criminal justice policy reform expert on MSNBC, Fox News, CNN and a number of local media outlets. Rock Hill, South Carolina - Dr. Adolphus Belk, Jr. is a political analyst and professor of political science and African American studies. 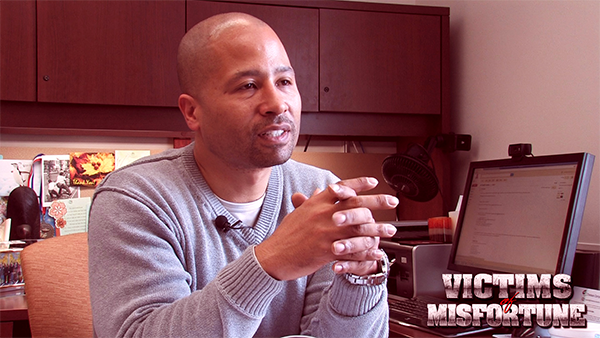 He currently teaches at Winthrop University with a focus on issues of race and politics. He also specializes in the prison-industrial complex. Philadelphia, PA – Dr. Umar Abdullah-Johnson is a Certified School Psychologist who practices privately in Pennsylvania and lectures throughout the country. He is also the author of the book entitled: “Psycho – Academic Holocaust: The Special Education and ADHD Wars Against Black Boys”. Dr. Umar Johnson is also a blood relative of Frederick Douglas the great Black abolitionist and orator. 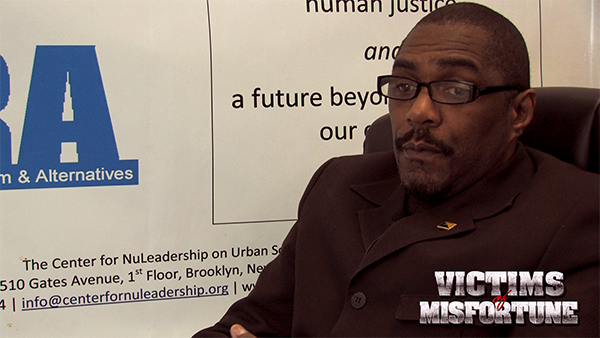 Brooklyn, New York – Dr. Divine Pryor is the executive director of the Center for NuLeadership on Urban Solutions, an independent, activist, human justice think tank and training center. Dr. Pryor is a social scientist with extensive knowledge and expertise in the criminal justice, health and social service fields, having spent over half his career administering HIV/AIDS, domestic violence, substance abuse and other social service non-profits. Memphis, Tennessee - Lorenzo Kom’boa Ervin, a former political prisoner and political refugee, is the founding member and community organizer at the Black Autonomy Federation located in Memphis, Tn. He is the author of the underground classic, Anarchism and the Black Revolution as well as many other essays and articles about fighting capitalism and white supremacy. Levon Hinton is a filmmaker that has written, produced, directed and contributed content to several short films, original web series, television shows, music videos and documentaries. 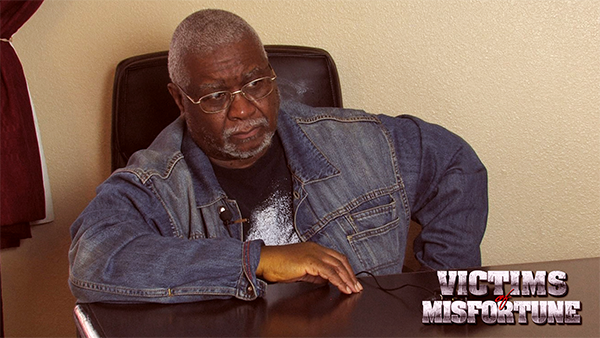 Mr. Hinton co-produced his first film project in 2007. That project sold thousands of units nationally in DTLR retail stores. (Buffie Carruth’s “Still Larger Than Life”) In 2011 Mr. Hinton contributed content to the documentary “Koch Brothers Exposed” (2012), directed by Robert Greenwald. He has also produced and directed several television commercials that aired on Fox50 television networks in 2012. Mr. Hinton also created the online media outlet. 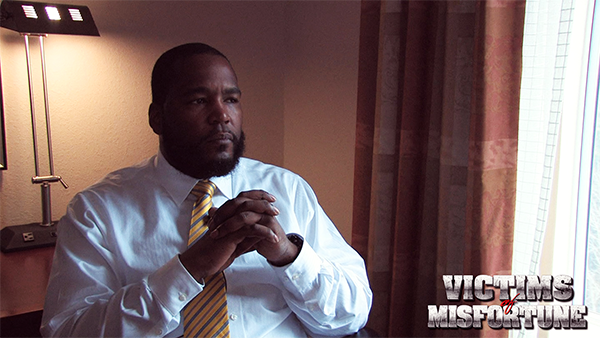 (Carolina Exposed DVD/TV) In his spare time he volunteers as a Head Football Coach. He mentor boys ages 5-7 years old through the sport of football. Ablaze Jackson is a music producer and writer located in Greenville, South Carolina. He has been producing music 10+ years and has worked on several successful projects. He produced music for VH1’s TV Show Chrissy & Mr. Jones on VH1 (Jim Jones 'Get That Cake' featuring T.W.O.) He also produced a track for a commercial for Pepsi Max. Along with producing for various artists such as K. Mitchell, Jim Jones, Mullage, Hell Rell, and Do Or Die, just to name a few. His music even made it to Broadway with the Les Twins. If you are unable to support financially, you still can play a key role by sharing this page on your social media networks, and blogs. We also have “Support Victims of Misfortune” badges that you can download and upload to social media (Twitter, Instagram, Facebook etc). With all of us working together, we can make this campaign successful. We trust you will join us. After this crowd funding campaign has been completed, please be sure to give all of your correct information so that we can quickly send your rewards to you in a timely manner. Changing the Pecking Order will boldly confront the problems of Racism in America and the devastating impact it has left on poor communities, mostly people of color. We’re thankful for your contribution and will add you to our update list. This will enable you to be the first to know about news, events and special screenings related to Victims of Misfortune Documentary. 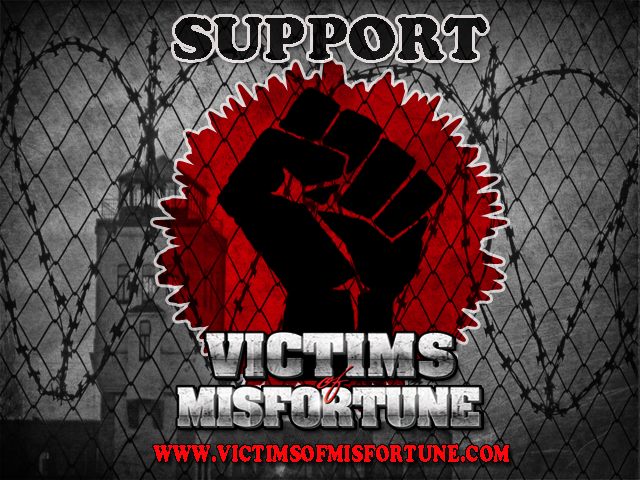 Please pass the word and download one of our “Support Victims of Misfortune” Badges. You will be added to our update list and receive a special thanks on the film’s website. 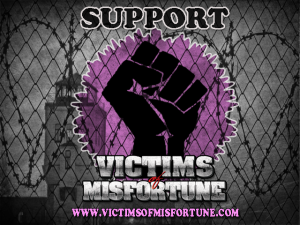 Also receive a retweet from the Victims of Misfortune Twitter page when you mention the film using #VictimsofMisfortune. Please pass the word and download one of our “Support Victims of Misfortune” Badges. A BIG Thank You! 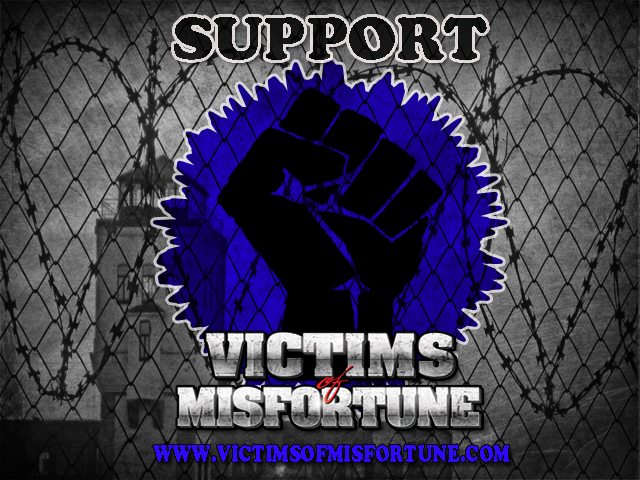 + You’ll be added to our update list and receive a Victims of Misfortune DVD to watch with family and friends. Also receive a retweet from the Victims of Misfortune Twitter page when you mention the film using #VictimsofMisfortune.